Updated some stuff, the first topic has an image now so you don't need to parse what I said. A shape’s perimeter is no greater than the area that encloses it, when the dimensions of the two quantities differ positively. This suggests that while it isnt very intuitive that an infinite quantity can approach a finite one, it does, and is a way to quantify them. So a lot of math operations require you to perform a calculation over time, I am trying to remove that. I want to skip the whole middle and get right to the end, like saying "draw a square" and instead of using one line to calculate the next, I just draw the whole square. I have already done this to an extent on one of my favorite equations; the linear congruential pseudo-random number generation equation. It looks like this: The next number = multiplier * previous number + increment modulated by the modifier... Well this is what I have now: the nth number is the limit as k approaches the multiplier (((k^n)*(first number * k + increment - first number) - increment)/(k-1)) mod the modifier. This goes along with "Removing Time from Math", so equations, formulations, calculations, and sequences of various kinds, all share time. It takes time to perform a calculation, time to simulate, time to anything... But this does create an interesting conclusion. These actions are not outside of time, and time itself is not bound to cause and effect, being cause and effect. So i would argue that there is a "static" equation for every equation over time. An equation that plots the shape of the cause and effect without performing the cause and effect. If true in every possibility then it might be something that could out-compute any possible computer. Imagine a computer that takes formulas and finds their static versions, as I did in the topic above. Now instead of performing the calculations to get the answer, it just skips straight to the answer. Like how instead of plugging in the previous number to get the next, over n iterations, I could just say what is it at nth iteration. Instead of an n-body simulation where every next step is calculated, the entire thing is converted to a static version, where the future to infinity can be observed, and there is no difference (besides for one being timeless). Its the difference from plotting a y=x function by plugging in a number and finding the next with it to just plugging in for x. 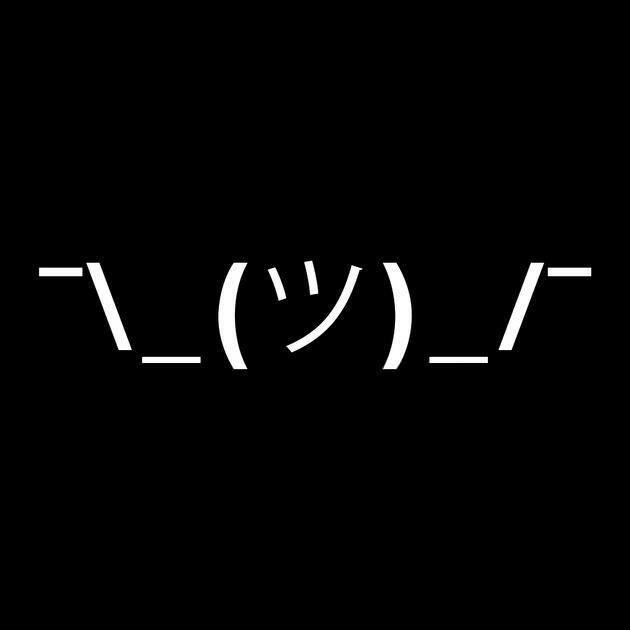 You give it a problem and you skip to the solution, no in between... Like how a game could have an entire universe but not load it all, but also the entire future of it determined prior... What will simulated civilization do 1 million years in the future? Instead of simulating it just plugs in a +1 million years and BAM! There it is... No in between. I have yet to see any reasons to why this cannot be done, unless entropy cannot be predicted or graphed, which I doubt. Last edited by Terran on 15 Jan 2019 12:54, edited 10 times in total. Source of the post I am starting to suspect that imaginary numbers are not true 2nd dimensional numbers as they fall in and out of the real plane. Having imaginary numbers fall out of the real plane is the very symptom of dealing with quantities in more than 1 dimension: more than one axis is required to plot them! Imaginary numbers have components along both the real and imaginary axis. Consider plotting something like the temperature of a wire vs. its length. Each datapoint will be 2-dimensional: having components on both the temperature axis and length axis. The imaginary axis is just as much a dimension as temperature, time, or spatial coordinates. The 4th roots of unity cycle through 1, i, -1, and -i. Corresponding (loosely speaking) to the behavior of in. 6th roots of negative 1? In general, the n'th roots of a number (whether complex or real) have n solutions that exist in the complex plane. I think this visualization is very useful. The n'th root of unity has n solutions which uniformly divide the unit circle, and the imaginary component represents the component of the number that has been rotated from the real axis. 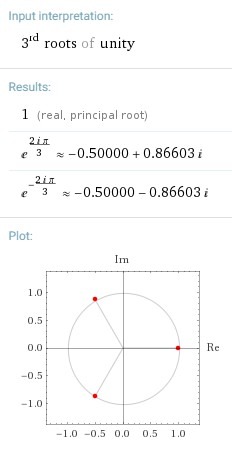 A rotation of pi/2 yields 0+i, so it's all along the imaginary axis. A rotation of pi yields -1+0i. Back to the real axis, just flipped. Source of the post Thats when I realized that we never "solved" square root (-1)... We just said "Hey! Its i! We did it! Its solved!" Math is tautological. The beauty of being a mathematician is that you get to make the definitions, and then investigate the consequences. If those consequences can usefully describe nature then there's a reason to use that definition! You can say sqrt(-1)=0 if you really want. It just won't be useful. Or you could say it is 7i. Everyone will wonder why you don't just divide by 7 to make it more elegant. What if you say sqrt(-1) = 3? Then that would then mean 3^2 = 9 and 3^2 = -1. Which would mean 3+3+3 = 9, and 3+3+3 = -1. Weird to interpret and probably not very useful for modelling anything. Source of the post Having imaginary numbers fall out of the real plane is the very symptom of dealing with quantities in more than 1 dimension: more than one axis is required to plot them! Imaginary numbers have components along both the real and imaginary axis. But wouldn't you expect a 2nd dimensional number to be able to operate completely independent from another axis? If I designate g to be a second dimension, g+g=2g, g*g=g^2, g-g=0g (0), g/g=g (its not 1 because g isn't a variable but rather a completely separate number from the -1 and 1 plane), and 0g^-1=infinity*g (infinity), where they only enter the real plane at 0 and infinity but do not cross over at 1 or -1, having its own 1 and -1 (g and -g). Just as real numbers don't cross over into the 2nd plane when performing those operations and have their own 1 and -1. If you need me to explain any other part of it further, I could, but the out of plane interactions are the parts that are bothering me... They do not fit my predictions and and contrary to what would ideally be a 2nd dimensional number. Unless... Is it that there is no conventional + or - imaginary plane? That in order to transform the 2nd plane I need to use entirely independent math? Since the + and - could just be considered the real plane multiplied by the imaginary one, which could explain why I also get an extra plane bumping the dimensions on the diagram to a 4 dimensional sphere (yes I didn't draw a 4 dimensional sphere properly, it would have looked too messy pressed flat against the white board so I angled the two extra 3 dimensional sides 45 degrees to the visual angle to separate them from the internal 3 dimensional cross section, also color coded it to better improve visibility). I have my two formulas for transforming the across the circle at the top, to rotate it I guess you would switch the sign-age. And a list of a few relations to better understand the structure. Source of the post But wouldn't you expect a 2nd dimensional number to be able to operate completely independent from another axis? No. There are some differences between the complex plane C and the real plane R2 (a particularly important example involves the rules governing differentiability of complex functions), but none of this means that C is not 2-dimensional. The set of complex numbers satisfies all the conditions of a 2-dimensional vector space. It is closed under vector addition and scalar multiplication. Any complex number can be formed by linear combination of basis vectors 1 and i. Feel free to check all the axioms. I understand for a complex plane since it shares a degree to the real plane, but what about a completely independent dimensional plane? One where the number divided by itself does not equal 1 but rather the single quantity of itself? g/g=g. i/i=1 though... It shares part of the real plane. The complex plane still would be beyond the real plane (in dimensions) but it should not be an independent dimension from the real plane. The real plane never dips into the imaginary plane unless it is pushed to the limits (like root(-1)), but the imaginary plane easily falls back into the real plane readily, using simple operations. In spatial geometry, unless we count time, operating along one spatial axis doesn't look different from operating on any other. Instead imaginary numbers act like they fall in and out of the plane, as if moving along x made you pop in and out of y and z. It is a thing though, I feel more comfortable classifying the imaginary plane as some other class of dimension than a full blown independent one. That g/g=g property is what validates this for me. If we take 1/1 it does indeed equal 1, (-1)/(-1) also equals 1, because -1 is not an independent dimension. 0/0 can equal 1 (tends toward 1 on the -1 and 1 dimensional axis) but can also satisfy 0g/0g=g, and by consequence infinity/infinity, they are not confined to the -1 and 1 axis but rather a universal constant across (most) n-dimensional axis. This also holds true for i, and i+i=2i does indeed stay off the real plane, but i/i still equates to 1. Another reason i doesn't follow the rules, 1/i=-i instead of i, 1/1=1, 1/-1=-1 (and switching out the numerator). What is the flaw in my logic here? If I could think of a dimension for numbers that behaves predictably then what separates the two? My definition of a dimension? Which the real plane seemed to have already established the basis for. Or that there is more than one kind of dimension? Which fractals (which may for may not have to do with this) seem to support. Or is the real plane weirder than meets the eye? Being that the imaginary plane and real plane are the same plane or that the math regarding the real plane gives rise to inter-dimensional operations. Or perhaps I am looking at this backwards? I hope not but I won't conclude with that. The set of all complex numbers is the complex plane. The basis vectors 1 and i are orthonormal: both have length 1 and the inner product of them is zero. Together they span a 2-dimensional vector space which is isomorphic to R2. Ergo, complex numbers are two dimensional. Consider the 3D Cartesian space with coordinates (x,y,z). The x, y, and z axes are each independent (mutually orthogonal). And together they span a three-dimensional space. Right? Now let's pick a point with coordinates (0,0,g). That's the point g units away from the origin along the +z axis. Then what do we get if we compute g/g? In terms of scalars, g is the distance from the origin to the point (0,0,g). Then this distance divided by itself is 1. Always. "The number of times you must lay out a ruler of length g to reach a distance of g is equal to 1". To have it equal anything else would be absurd. In words: "The vector v divided by its length is equal to the unit vector in the direction of v."
So in the complex numbers, when you compute i/i and find it equals 1, of course it does. 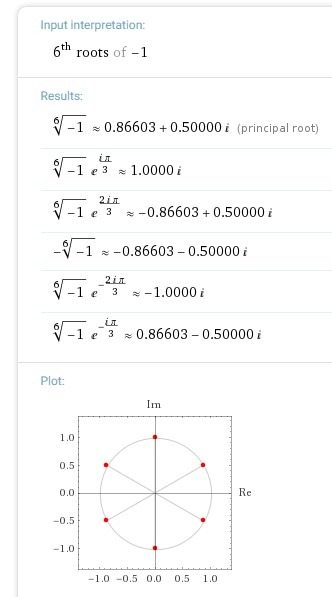 The vector from 0 to i has length 1, and dividing 1 by 1 yields 1. But in terms of the location of the point in the complex plane, defined by the vector <0,i>, dividing that vector by its length gives you a vector with length 1 in the i direction. The point still lies along the imaginary axis. This should be consistent with the geometric intuition from the above example with x,y,z. It works the same way. Source of the post Consider the 3D Cartesian space with coordinates (x,y,z). The x, y, and z axes are each independent (mutually orthogonal). And together they span a three-dimensional space. Right? Now let's pick a point with coordinates (0,0,g). That's the point g units away from the origin along the +z axis. Then what do we get if we compute g/g? In terms of scalars, g is the distance from the origin to the point (0,0,g). Then this distance divided by itself is 1. Always. "The number of times you must lay out a ruler of length g to reach a distance of g is equal to 1". Source of the post I think you're getting yourself confused over the behavior of numbers (scalars) vs. vectors. A number g divided by itself is never itself in any dimension except in the specific case that g=1. A vector g, divided by its length, is a new vector of length 1 in the direction of g.
So I see my fault is that imaginary numbers are a scalar measurement and not a vector, and that what I am doing is math as if numbers were a vector measurement. (0,0,g) divided by g if g was the vector-length (not length of vector) would indeed be g but the length itself would be 1. So this is actually extremely helpful! If I take the scalar math and multiply it by my vector math I should get the correct answer! I'll test it!... Success! The math is fixed! By using the vector quantity first when dealing with the transformations and then later multiplying it by the scalar, the imaginary numbers signs switch! Not only do they switch but they also lay on the same dimension instead of splitting into two other dimensions! The complex-real plane becomes the scalar (the line from the origin traced out to the vector in units of i). Everything checks out! So I guess we were both kinda right, except I was looking at vector minus scalar and you were looking at scalar and a real dependent vector. Multiplying the scalar independent vectors by the scalars after the math works! So it does suggest something though... Under the scalar independent vector system, imaginary numbers are not their own independent dimension but rather the scalar measurement between an independent dimension and another with its own scalar. So the "third" dimension of the sphere isn't imaginary, its the g vector, but the lines traced from the center to a vector can be imaginary, real, or complex. All the anomalies go away! I hope I got the right conclusion from this, all be it an obscure and strange one (like learning how to do math if the real plane had a third sign from -1 and 1)... And it is probably a strange rule I am using for this non-scalar math, where dimensions are given their own sets of 1s and -1s... But the math I used for it seems to be fixed now! Heres what I mean by the math being fixed: to transform from one side of my n-dimensional number sphere I use -n^-1, so lets go from -g to positive g where g is imaginary, we first use g instead of i treating g as an independent vector instead of a scalar (not converting to a scalar... which now that I think about it... is kind of a vector if it didn't have a scalar at all... or its own vector-scalar... weird) so we get -(-g)^-1, the inverse of -g in our weird plane where g/g=g, equals -g, then we do -(-g)... we get g... then we take g and multiply by i... and we get gi, which is indeed the opposite to -gi, and if we take out g... i and -i have successfully been transformed! If we just used i then we get this -(i)^-1, -(-i), i ... no sign switch. Now all I need to do is check some things and figure out what all of this means... I will leave some time before I edit my OP topic to reflect this... just in case I am terribly wrong... but hey! For being terribly wrong, I am getting terribly right answers!